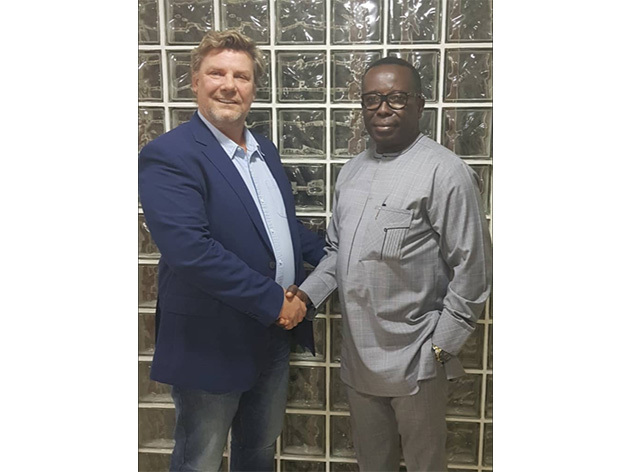 Unique Group, one of the world’s leading integrated subsea and offshore solution providers, has formed a joint venture (JV) with Nigeria-based Charkin Maritime & Offshore Safety Ltd, a prominent professional training company for the maritime and offshore oil & gas industries. The JV, Unique Charkin System Ltd, is based out of Port Harcourt in Nigeria. The newly formed JV currently offers a full range of support to the oil & gas market in Nigeria and will further extend services into Sub-Saharan Africa. Although already active in the region for some time, the partnership creates a dedicated office for Unique Group in the region, bringing enhanced accessibility and reduced response time for customers. Unique Group’s divisions, namely, Survey Equipment, Diving & Life Support, Buoyancy & Ballast, On-Site Engineering and Specialised Boats will be active from the Port Harcourt office. Mark Severn comments: “This new venture represents an excellent fit for both Unique Group and Charkin Maritime & Offshore Safety Ltd. It positions us well for further expansion in the African region and the permanent base in Nigeria will facilitate a better relationship and offering for our local clients. Sir Charles K Wami, CEO of Charkin Maritime & Offshore Safety Ltd comments: “Partnering with Unique Group extends our global presence and together we can continue to deliver products and services which are among the best in the world. The in-depth industry knowledge and work ethic held by Unique Group is an example of excellence industry-wide.